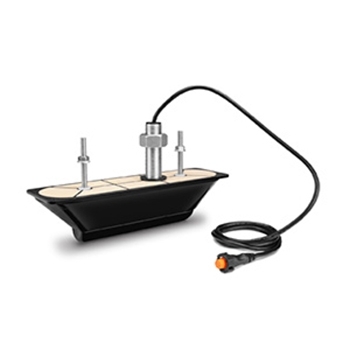 Garmin's 010-12089-10 Thru-Hull Transducer includes a temperature sensor, has a total power rating of 1500W (500W per element) and operates at a CHIRP 455/800 kHz frequency range. 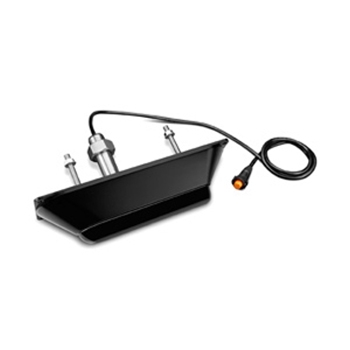 Designed for boats with a deadrise of 5 degrees or less this thru-hull transducer reaches Depths of 750 feet with DownVu technology and 500 feet left to right (SideVu). Compatible with Garmin GVC10 Sonar,echoMAP CHIRP sv Models, 73SV, 74SV, 93SV, 94SV, 7600xSV Series and GSD25 - 12 Pin Connection. 010-01961-10 replaces the 010-12089-10 or GAX1208910. 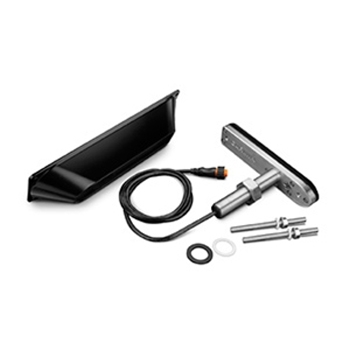 Each Garmin GT30-TH comes with:12-Pin GT30 Thru Hull Transducer with Stainless Steel Stem, Fairing Block, Isolation Plate & Bushings, Extension cable, Mounting hardware and Installation Instructions.